A series of streptavidin-mimicking molecularly imprinted polymers has been developed and evaluated for their biotin binding characteristics. 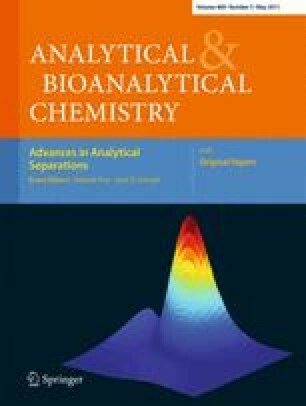 A combination of molecular dynamics and NMR spectroscopy was used to examine potential polymer systems, in particular with the functional monomers methacrylic acid and 2-acrylamidopyridine. The synthesis of copolymers of ethylene dimethacrylate and one or both of these functional monomers was performed. A combination of radioligand binding studies and surface area analyses demonstrated the presence of selectivity in polymers prepared using methacrylic acid as the functional monomer. This was predicted by the molecular dynamics studies showing the power of this methodology as a prognostic tool for predicting the behavior of molecularly imprinted polymers. The authors acknowledge the financial support provided by the Swedish Knowledge Foundation (KKS), Swedish Research Council (VR, grant 2006-6041) and Linnaeus University.